When you're not using her to scoop up soups, sauces, and punches, you'll leave her on your counter to admire. 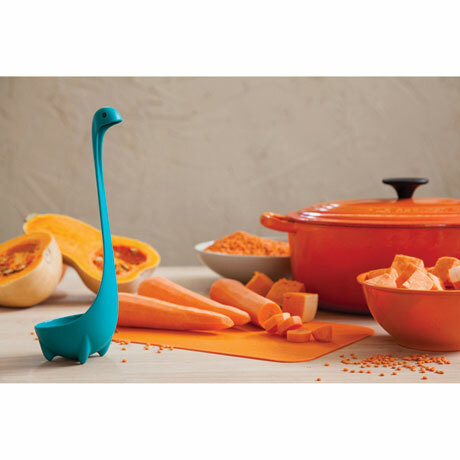 Toughened blue BPA-free nylon ladle stands upright on four little feet. An internet sensation, she's famously hard to find in the USA, so we've stocked up for you. Dishwasher safe but don't microwave. 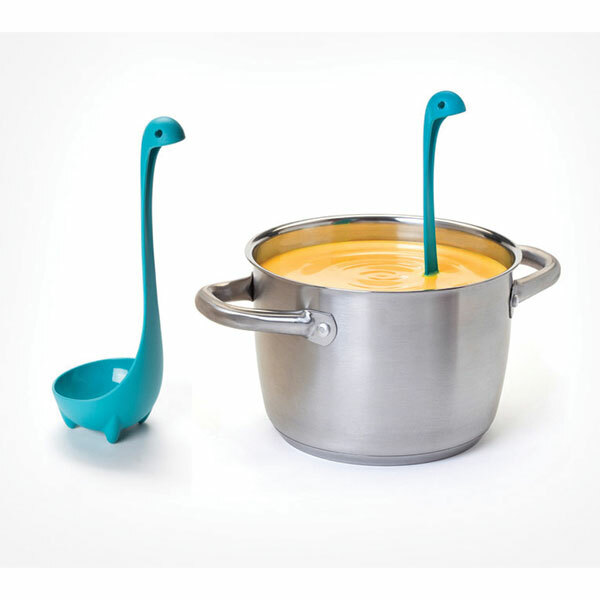 Please note, at 9½" long Nessie is smaller than most standard soup ladles and stands best in thicker liquids.